Published by Mountainblog on 04/24/2019 . Published by Mountainblog on 03/01/2019 . Further info on Michelin soles website. Published by Mountainblog on 02/28/2019 . At ISPO 2019, Andrea de Pascale (Chief Commercial Officer) presents the Dolomite Move Bootie m’s, Move Road and Crodarossa Trek Mid gtx equipped with Michelin Soles. Published by Mountainblog on 12/19/2018 . From KLIM’s remarkable backcountry snow experience comes the world’s first snowmobile specific boot equipped by Michelin Soles. Built to handle the unique, extreme conditions of backcountry snowbiking, the Havoc GTX® BOA® boot blends the technical necessities of a snowmobile boot and an off-road boot into one package. 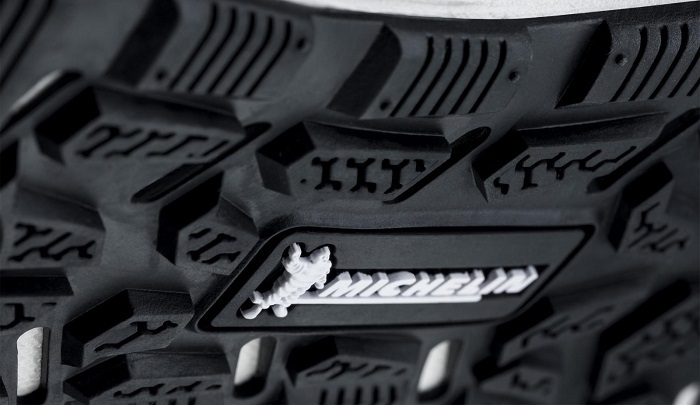 Keeping your feet firmly planted on the pegs is the legendary MICHELIN Soles, offering both the grip and serious durability needed for extended time in the snow. To further take the abuse of snowbiking, KLIM engineered a full suite of reinforced plates help protect your ankles, toes, instep and shins. The low profile design improves shifter feel, footpeg grip and control of the snowbike over traditional snowmobile boots. Still, not wanting to sacrifice comfort, KLIM built in breathable, anti-microbial OrthoLite insoles and 600-gram 3M™ Thinsulate™ insulation. Temperature and moisture control means comfort on and off the bike. 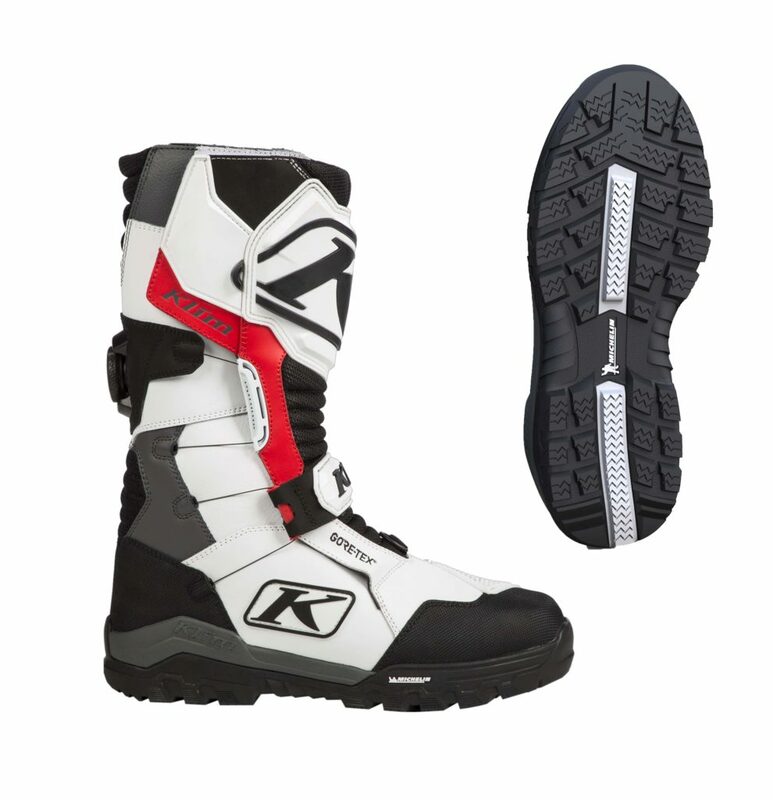 KLIM’s years of research and experience in manufacturing industry-leading Adrenaline snowmobile boots makes the industry-first Havoc a perfect crossover for aggressive snowmobiling as well. The Best things come in threes. Under Armour equips the UA HOVR Coldgear® Reactor Running Road Shoe with Michelin Soles for Winter Runners. Some say “three’s a crowd,” but the designers at Under Armour couldn’t disagree more. Imagine a world without the Three Musketeers, the Beastie Boys or a good BLT sandwich. The champion wants to test the new Promachine equipped with Michelin Soles, now the challenge is on the snow. Skiing and motorcycling are two different worlds, but they both share one thing: their athletes are passionate and full of determination. 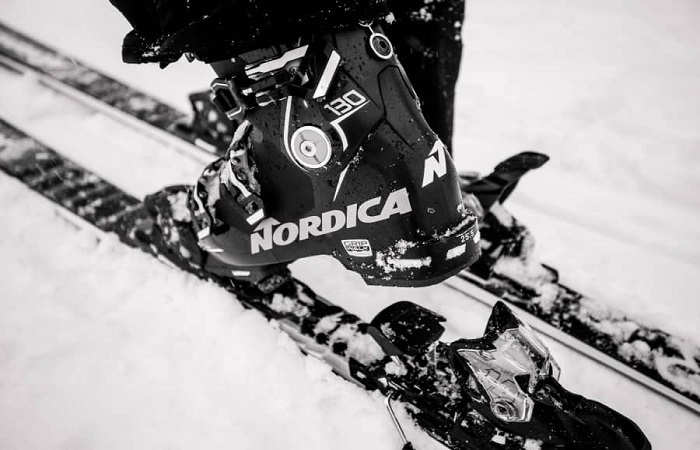 During the last seasonal race – and the last race in his career – Pedrosa was given by Nordica a pair of Promachine: the rider himself had earlier on expressed his wish to try the Nordica ski boots. 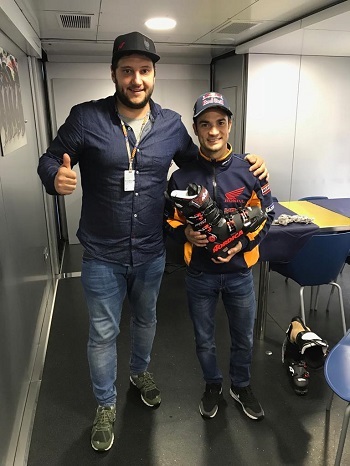 Clearly, the road from tyres to skis is long, but Daniel Pedrosa will once again be able to count on Michelin, who designed the soles of the new Promachine. Published by Mountainblog on 09/27/2018 . A solution which delivers traction on ice and on hard snow routes, whilst maintaining the same performance on different terrain types even after long use. This solution was developed through a specific balance between the visco-elastic properties of rubber and the mechanical behaviour on the ground generated by the “profile” of the sole, comparable to the tread of the tire. The 100% rubber compound maintains flexibility at medium and lower temperatures, allowing the natural flexing of the foot during walking. Columbia was the first technical footwear company to deliver this new solution to consumers, offering it in multiple performance collections currently on the market. These products will be in the line for the AW1819 winter season including a new ankle boot with that features. 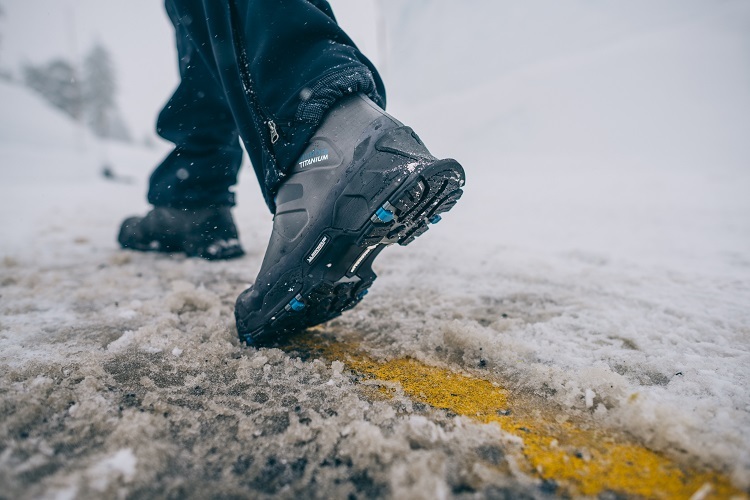 Last winter, Hanwag exclusively launched the innovative MICHELIN V-ROUGH sole that was developed together with MICHELIN Technical Soles and customized for Hanwag. The MICHELIN V-ROUGH sole successfully transfers the V-shaped tread design from the legendary MICHELIN Alpin 5 winter tyre to a technical footwear sole. It is made of a unique and specially formulated rubber compound that responds perfectly to winter conditions, offering grip, traction and durability for active winter outdoor enthusiasts and urban winter users. This is why every single model in the Hanwag Active Winter Collection combines high functionality with a design suitable for everyday use. Fall / Winter 2018/19 sees the MICHELIN V-ROUGH sole in use on the popular ANVIK GTX and AOTEA GTX® and all further models in the Hanwag Active Winter Collection. “From tyres to soles”. MICHELIN-branded soles enter the technical soles market as a new leader bringing innovative added value to the world of footwear. This initiative offers a unique formula to develop exclusive soles in partnership with strategic, high-performance brands, sharing the same values, desire and knowledge to bring innovation and tangible advantages to consumers in different target segments. Tyres and shoes share the same vocabulary: footprint, sole, tread, rolling, stability, rubber and fabric. It is here that MICHELIN gets in the game by making the latest technologies available and sharing their technical innovations with JV International, the global strategic partner chosen by MICHELIN for the design, development and manufacturing of high-performance MICHELIN-branded soles, thanks to their long experience in technical footwear. 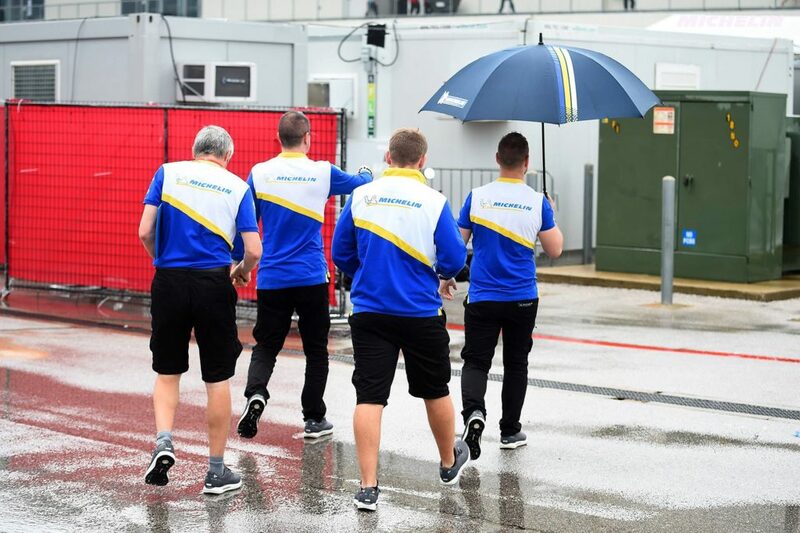 MICHELIN is more than an ingredient brand, but a strategic technological partner to develop high performance soles, linking MICHELIN know-how in “ground contact” with the competence of the partner brand.